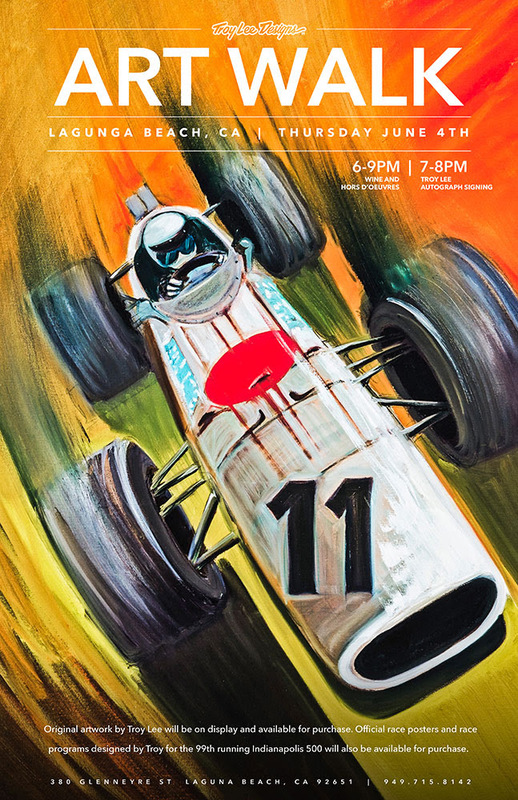 On Thursday, June 4th from 6-9pm, TLD Laguna will be hosting Troy Lee's original artwork for the 99th running Indianapolis 500. Official race posters and programs will be available for purchase at $10 per poster and $20 per program. Troy himself will be in attendance and signing autographs from 7-8pm. Wine and hors d'oeuvres will be served all evening. Join us for what is going to be a tribute to the greatest spectacle in racing!